This topic contains 1 reply, has 2 voices, and was last updated by carl 1 year ago. SubSimple will only accept SRT files encoded in UTF-8. If it can’t recognise the file, it won’t convert. For selecting external drives, it’s possible, but you have to access them in a different way. SubSimple runs a Python script in a Linux interface. This might alter some of the Mac-interface you’re used to. 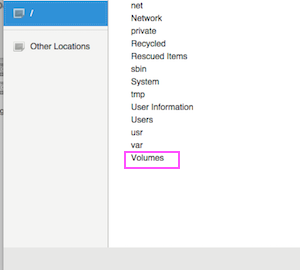 You can access external drives by choosing the / and selecting “Volumes”. I just bought the offline app and tried to convert an .srt file after duplicating it and saving it as a Unicode (UTF-8) file to make sure it’s in the right format but it still doesn’t do anything when hitting “convert”. Any takes on what to do?